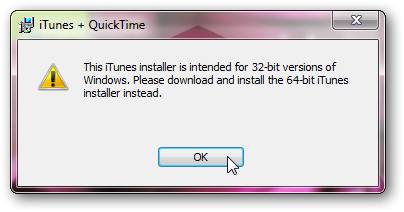 This is pathetic, because the size of installation file of iTunes is about 77mb. 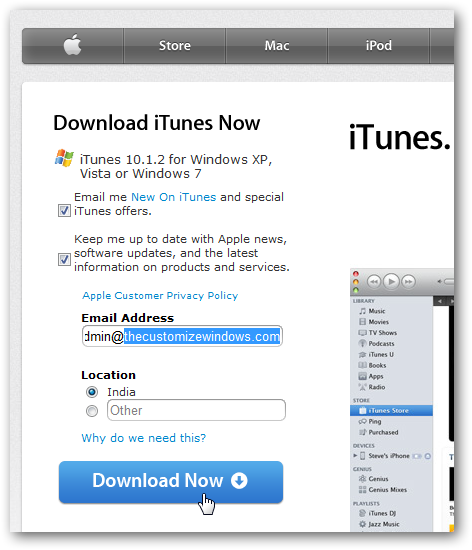 All Windows 7 shorcuts to applications including hidden applications. Burn the ISO images directly in Windows 7 without using any third party tool or software. 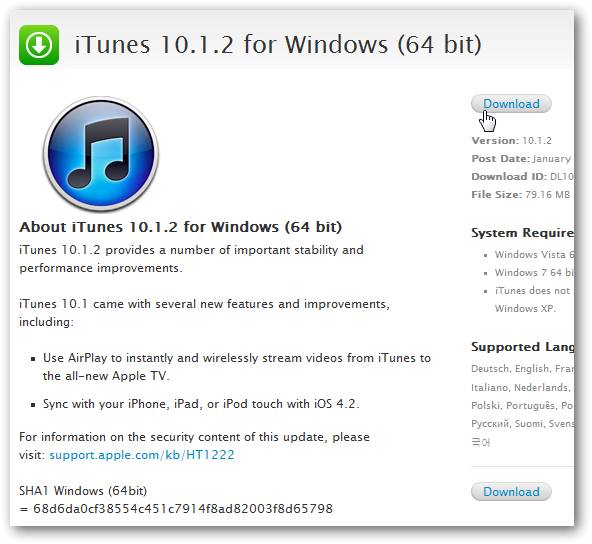 Cite this article as: Abhishek Ghosh, "How to download 64 bit version of iTunes for Windows 7," in The Customize Windows, February 3, 2011, April 25, 2019, https://thecustomizewindows.com/2011/02/how-to-download-64-bit-version-of-itunes-for-windows-7/.